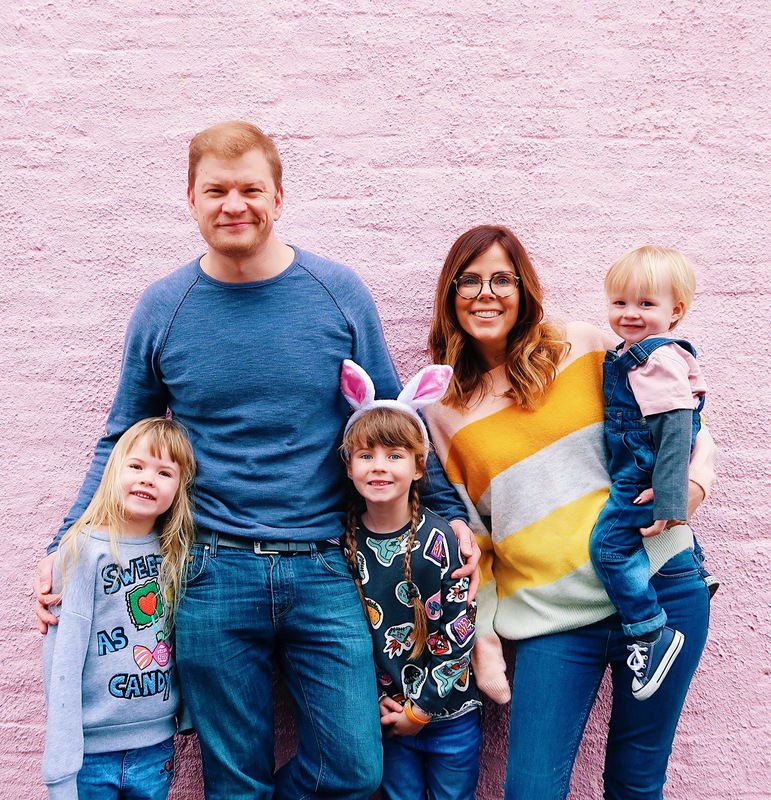 I somehow managed to miss our February family photo which really annoys me as I really like to document the changes in our family monthly, plus I have also managed to get to half way through April practically and only just post our March photos now. Life just gets in the way a little I guess, life is busy and I often have good intentions that somehow manage to go wrong. But even though I only have two photos to share today, I still want to put them on here as this first and foremost is the diary of our lives that I will want to look back on (plus I love these photos!). I started off the year wanting to write more on my blog, to not let it take a backseat with all the other things I like to do online (e.g instagram, you tube), but I still sometimes manage to neglect this little space a little. I think the times have just changed a little. I wrote a post about it way back in September, where I talked about how the blogging world has changed. And it has. When I first started which has been seven years ago now (I cannot believe I have stuck at this for seven years), it was so different. Blogs tended to only really be read by other bloggers, a slight generalisation of course, but for the most part you would only really get comments from other bloggers. Then it started to go more ‘mainstream’, with instagram and other social media meaning that people could follow your life without committing to reading a whole blog post. But in turn these ways of sharing content meant that your blog was opened up to even more people. I think the way in which we consume media nowadays has changed. We like things in bite size chunks, well I know I do. Of course I love reading a blog post that catches my eye, especially the more informative type, like travel inspiration, photography tutorials, or even fashion posts. 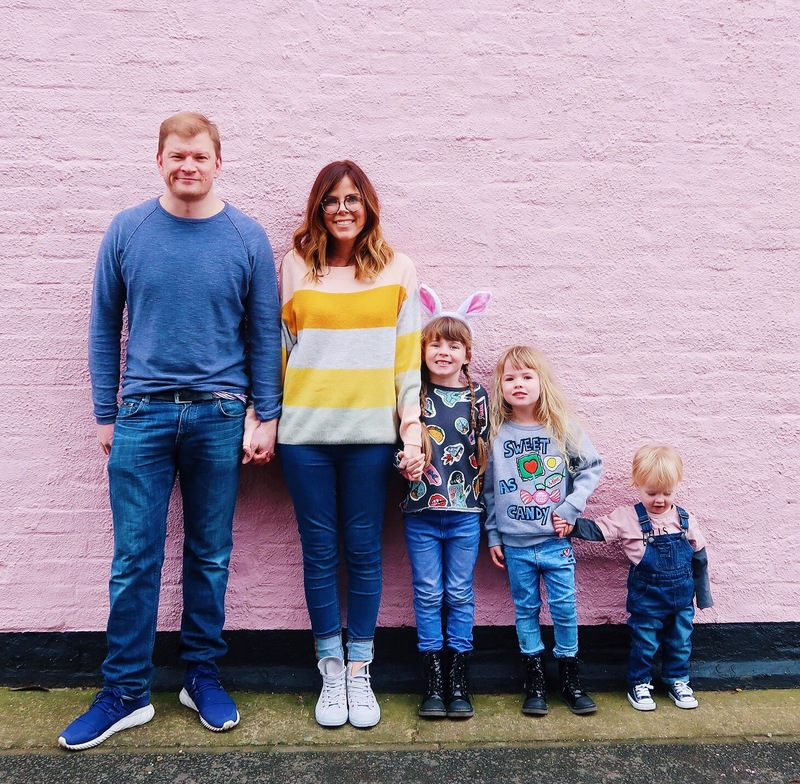 I also love reading an emotional, pour your heart out type blog post (like this one I wrote the other day about having a fourth baby which resonated with a lot of people, I had more comments on my blog and instagram than I have for ages). But for the most part it is just easy to flick through someone’s instagram feed, or watch their stories, or even watch a video on you tube while you are doing the washing up, than it is to commit to sitting and reading a blog post. Even to the point of reading an actual magazine (which I used to love doing), I would rather check out my favourite magazine’s instagram account or read a quick online article. That said my blog page views haven’t dropped, especially if I write a new post, but they have just stabilised and stayed the same really. I read a really interesting post from Hannah Gale (who I really enjoy following on instagram) about her thoughts on the slow demise of blogging and it really resonated with me. In it she talks about exactly what I said above, how the way in which we consume content is different. I agree with so much of what Hannah said, that her main focus should be instagram, and I do agree to an extent. For me instagram and you tube seem to be where people enjoy seeing my content the most (at the moment) and as such (at the moment) I seem to favour those platforms. But does that mean I am going to stop my blog? NO WAY! As someone navigating this crazy and somewhat often confusing world of earning a living from creating content online (which is a whole other blog post in itself), I feel that blogging is still hugely important. My blog is the only thing that’s MINE. Instagram could shut down tomorrow (please god no! ), You Tube could too. Or we could feel the same about these two platforms as we now do about facebook (do you remember when we all loved facebook?). But having a blog is something that is yours and yours alone. It’s your own personal CV, your own personal diary and you have complete control over your content. I love having a space that’s mine that I can write whatever I want, or shout about my achievements, or direct a brand to so they can see what kind of content I create. It’s still a funny old world. I started this blog when my first baby was just a few months old. The thought of earning any money or supporting my family from doing something like this would never have even entered my mind. I did it because I loved it, I loved every minute of teaching myself new skills like photoshop, or html or learning to shoot in manual or create a video). I loved to write, to take photos and to chat to others. I made friends online, I loved hearing other’s stories on motherhood. Then slowly over the years the blogging world changed and you could earn a living from it. The fact I earn my living doing this is something that I am so grateful for every day- it’s not for everyone and I get that, I get there are people that don’t get it, or think that it’s wrong to earn a living by sharing your life or your children’s, believe me it’s something I think about often and something that we are constantly evaluating. But right now, at this moment, for us it’s brilliant and I can honestly say there isn’t a day that goes past that I don’t think I am so lucky to be doing this. This has gone off on a tangent when I was mainly just wanting to share these two photos. But this online bubble we are in won’t last forever I know that much. I hope it does, and I hope it changes and evolves and grows as I do. But for now I am just going to carry on enjoying doing the things I love online. Whether that’s writing a blog post, creating a video, or being on instagram. I started it all these years ago to chat to people, whatever platform that may be on. I love to have conversations and to talk to other parents and women. I love it and I love it just as much as I did seven years ago. It is my hobby, my passion and at the moment I am lucky enough for it to be my job. Sometimes it will be on my blog, sometimes it will be somewhere else. But this blog is my first online baby and I am so very proud of all the memories I have got from it. So for that reason why it won’t always be my main focus, it will always be A focus and I am still attempting to write on it as much as I can. There is a pink wall a couple of minutes walk from our house which has become my new favourite. I love it (if you had told me seven years ago I would be standing in front of a colourful wall and calling it a good picture I would have laughed in your face). But I always think that we stand out against the background and I have a feeling I will be taking a lot more photos here over the years- in fact it was my inspiration for my new(ish) blog design. We headed here the other day over the long easter weekend and we snapped these two photos. I love them so much. I have been wanting to take a photo of us all lined up in a row stood up ever since Wren started walking and I just love the way it turned out. So some rambles from me today and also some happy photos. These three little people of ours are growing up so fast and looking at these photos makes me realise that more than ever. I wish time would slow down a bit.